that struck me hard when I was growing up. We get into this headspace that musicians we idolise are immortal and they will never leave us. When anything bad happens to them, we are affected deeply and it scars us. Some might say it is weird to feel that way about someone you have never met and who never spoke to you. The thing is that these artists get into our hearts and we feel connected to them through their music – like they are speaking to us and understand what we are going through. I was only ten when I learned about the news of Kurt Cobain’s death on 5th April, 1994, but it was a moment that moved me. Before that point, I was a Nirvana fan and was discovering music away from Nevermind. That was the album that kids raved about in school. Released in 1991, it was somehow illicit and naughty listening to Nirvana because they were not the chart warriors and Pop acts that we ‘should’ have been listening to! I was an eclectic and adventurous child and so, naturally, bands like Nirvana were in my sight. It wasn’t just the physicality of the music that got to me and seemed to speak louder than what was coming out of the mainstream. Although I would become more involved with Nirvana’s music after Cobain’s death, it is amazing to think what an impact they made on me early on. “Nirvana‘s former manager has spoken of how well aware Kurt Cobain was of Dave Grohl‘s vocal talents, suggesting that there may have even been “a touch of envy” between the two. “Kurt just said to me, ‘I don’t think you realise how good a singer Dave is, but I hear him singing harmonies every night.’ It was like he was really doing it so I would know this because there was this very fraternal side of him and a sweet side of him, but also it had a touch of envy in it. I mean he was competitive,” Goldberg told The Washington Post”. I think many assume they had Cobain pegged and he was this blonde-haired, moody and simple being who was all about Grunge, being a bit rebellious and not wanting fame. There is this simplistic vision of a very complex and pioneering artist. (More on this, alas, later). Many associate Nirvana and Cobain’s genius with Nevermind. It is the album that took the trio to the mainstream and made them stars. This level of fame was something Cobain resented but one cannot deny the brilliance of the songs and the anthemic, Smells Like Teen Spirit. That song is viewed as one of the very best from the 1990s and is a rallying cry for generations of outsiders. It is one of the best album openers ever and is joined by plenty of fraternal gold. Grohl’s drumming is pummelling and incendiary whilst the bass work keeps the songs together and propels Grohl. Cobain’s riffs are fantastic and nuanced whilst his songs are full of emotional outpouring, anger and complexity. And that's as key to the record's success as Cobain's songwriting, since Krist Novoselic and Dave Grohl help turn this into music that is gripping, powerful, and even fun (and, really, there's no other way to characterize "Territorial Pissings" or the surging "Breed"). In retrospect, Nevermind may seem a little too unassuming for its mythic status -- it's simply a great modern punk record -- but even though it may no longer seem life-changing, it is certainly life-affirming, which may just be better”. 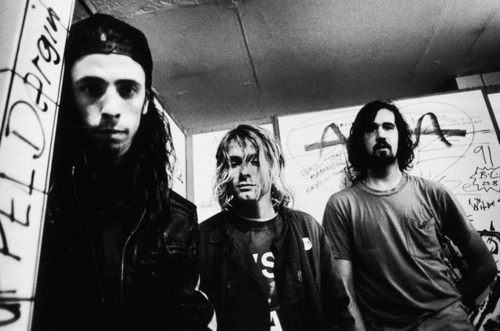 Nevermind is Nirvana’s commercial album and, although it brought them new attention and following, you sort of feel like their final studio album, In Utero (1993), was a reaction to that. It is, like Bleach, a more intense and dirty album that sounds like the record Cobain always wanted to make. There are no songs as big and timeless as Smells Like Teen Spirit but, in many ways, In Utero is a more complete, personal and satisfying work. Who knows where Cobain’s mind was as the band started to create In Utero. Upon release, In Utero may have debuted at number one, but initially it was something of a pyrrhic victory: Rather than lead a wave of Jesus Lizard-inspired noise bands to the top of the Billboard charts, In Utero would send millions of Nirvana’s more casual crossover fans scurrying into the warm embrace of Pearl Jam’s record-setting October '93 release Vs., an album that, from a music-biz perspective, was the true blockbuster sequel to Nevermind. In that sense, this first version of In Utero resonates as much today as a symbolic gesture as a collection of 12 unrelentingly visceral rock songs, a how-to manual for any artist at the top of their game-- from Kid A-era Radiohead to Kanye West circa Yeezus-- that would rather use their elevated position to provoke their audience than pander to it”. “It’s times like this that are peppered throughout the set and remind you of the band’s – and especially Kurt’s – resistance at having such a huge following. Despite the huge crowd in front of them they were playing for themselves. It’s just lucky the throng enjoyed being brought along for the ride. You’ll never know at the time just how much impact a single performance like this might have, but like The Beatles on the roof of Apple, or Oasis at Knebworth, this gig will forever be known in the lore of rock. So much so in fact, that recently released Nirvana documentary ‘Montage Of Heck’ opens with it, showing backstage footage from the band”. Before concluding and talking more about the man himself, you cannot forget the decade-defining set Nirvana performed, unplugged, in New York for MTV. Their MTV Unplugged in New York gig was very different to the Rock-driven performances that one expected. Nirvana taped their performance in a single take – unlike most acts – and the fourteen-song set contained a mixture of original songs and covers. Cobain asked for the set to be decorated like a funeral: chandeliers, lilies and black candles. Although the set is ‘unplugged’, Cobain gave some extra intensity and fuzz as he ran his acoustic guitar through an amp and effects pedals. It gave songs like The Man Who Sold the World (David Bowie) new life and meaning. The set was taped on 18th November, 1993 at Sony Studios and was a definite break from MTV traditions. There were nerves from Cobain as the rehearsals were beset with disagreements and problems. 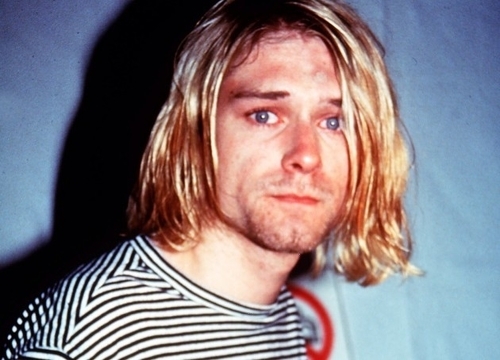 Cobain was suffering from drug withdrawal and, as the network were unhappy with the lack of Nirvana songs, the frontman threatened to boycott and not play. “A dozen years before Youtube, MTV was still the way that many in America and Europe accessed new music in a visual medium. Unplugged caught Nirvana at a unique point in their short existence as a band and introduced them to audiences in a new way. Cobain's struggles with his own success were already well documented, and Nirvana were not completely happy the MTV unplugged format. MTV wanted a setlist of Nirvana's greatest hits with guest appearances from the like of Pearl Jam and Tori Amos, but instead, the set list featured songs by David Bowie, Leadbelly and '80s Scottish band The Vaselines. The additional players were made up of members of Meat Puppets along with Nirvana's touring guitarist Pat Smear, a former member of American punk band Germs. Kurt Cobain managed to present an alternative to the stereotypical rock star ego throughout the set. One of the most memorable moments of the set was the cover of David Bowie's 'The Man Who Sold The World'. The inclusion of the song introduced the audience to an era of Bowie that many were unaware of, knowing Bowie more for his then relatively recent period with Tin Machine or 'Let's Dance'. Despite the worldwide success of 'Nervermind', it was Unplugged that gave Nirvana the biggest platform, and Kurt Cobain used it to dismantle the idea of the strutting male singer with a guitar, replacing it with a reality young people could connect with”. “But the former Nirvana manager, who Cobain had hailed as a "second father," emphasized that behind the drug use and depression the superstar was a "musical genius." He was also a romantic goofball, Goldberg said, who happened to be the proud owner of four pristine, sealed copies of The Chipmunks Sing the Beatles Hits. Goldberg believes Cobain's "slacker" appeal – the tattered sweater, the ditchwater-blond locks, swept frequently and absent-mindedly from ocean-blue eyes as he flicked a hand-rolled cigarette – drew attention from his impressive intellect. "I always knew there was a depth to the energy and feelings that he was playing with; it was deeper than just a great chorus – even though he did write great choruses," Goldberg said. "He could be very powerful and compelling – and at the same time, be sensitive and caring. That was a departure from the rock orthodoxy of the time," Goldberg said”. “Hard rock today still relies a good deal on drawing crude sonic inspiration from Nirvana’s dynamic and emotionally volatile output. What’s really distressing though is what elements have been discarded over the years. Cobain’s outspoken advocacy of feminism and LGBT rights, his sarcasm, his uncertainty regarding celebrity, his tendency for self-effacement, his esoteric musical taste, his inclination to not care if a note was out of tune or a guitar made a horrific noise on a potential hit single -- all these are too complicated and uncomfortable for much populist hard rock these days to deal with, and are thusly ignored. Instead, a band like Nickelback takes the turgid guitars and gruff vocal timbres of the grunge era, polishes it up, and marries it to hoary old rock tropes like getting drunk and partying with strippers. For a long time, critics and music industry types sought the next Nirvana, and by extension, the next Kurt Cobain. Indeed, they positively pined for someone else to come around with the same weight of importance around him. Nowadays, Cobain really is a musical ghost: there are flickers and flashes of his voice and guitar still audible, but much of what defined him -- what he believed in and what he stood for -- doesn’t resonate in today’s musical climate. To me, that’s the real shame. I’ve long accepted the fact that events in history have limited the Nirvana songbook. Yet I am really disappointed by how despite a stretch in the ‘90s that in retrospect appears anomalous, Cobain’s obstinate relationship with the music industry and rock stardom did not become a new kind of normal after all”.